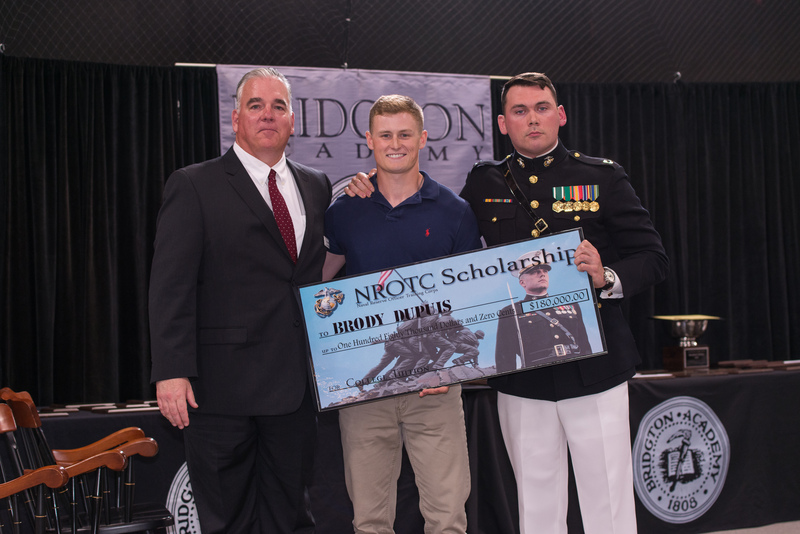 Bridgton Academy Class of 2018 graduate Brody Dupuis (Hooksett, NH) has been selected as a recipient of the prestigious Naval Reserve Officers Training Corps (NROTC) Scholarship. Dupuis received the honor in a small ceremony on the campus of Bridgton Academy in March, but was formally honored during Bridgton Academy’s 2018 Commencement Exercises on May 4, 2018. Dupuis, who will matriculate and play baseball at the University of Maryland – Baltimore Campus, was one of only a handful of students to receive this scholarship, with a nationwide pool of over 300 applicants culled down to only 55 scholarship recipients.